Many professions require a lot of time and effort, and sometimes large amounts of downtime just isn’t possible if you’re determined to do well. But it’s all about finding that balance. By recognizing your own individual triggers and understanding when you’re overdoing it, you’ll be able to recognize the early warning signs before you start burning out. Don’t ignore the signs. Feeling tired? Sleep. Getting ill? Take a sick day. There’s nothing wrong with giving yourself a break. Just make it’s on your terms. Creating a good balance between your work life and your personal life will allow you to be more productive in both areas. Work-life balance doesn’t always refer to a solid line between work and play. Whether it’s by working from home, when you need quiet space for a project, or dedicating time to group brainstorm sessions where collaboration is necessary – creating your own balance between teamwork and head-down work is equally essential to achieving productivity in all aspects of your job. Keep your life a balanced amount of work, recreation, and rest in order to stay fully functional. Always dreading work? Don’t know what a weekend is? Knowing when to switch off is often the best way to give just the right amount of time to your job, not to mention, allow yourself to actually enjoy the time you’re there. If you’re starting to resent your job – ask yourself why. Sometimes all it takes is allowing regular breaks to put things into perspective. And if all else fails, it might be time to find a new position. Work isn’t the only place you can learn and develop – making the most of your time will add some much-needed variation – and enjoyment – into your life. 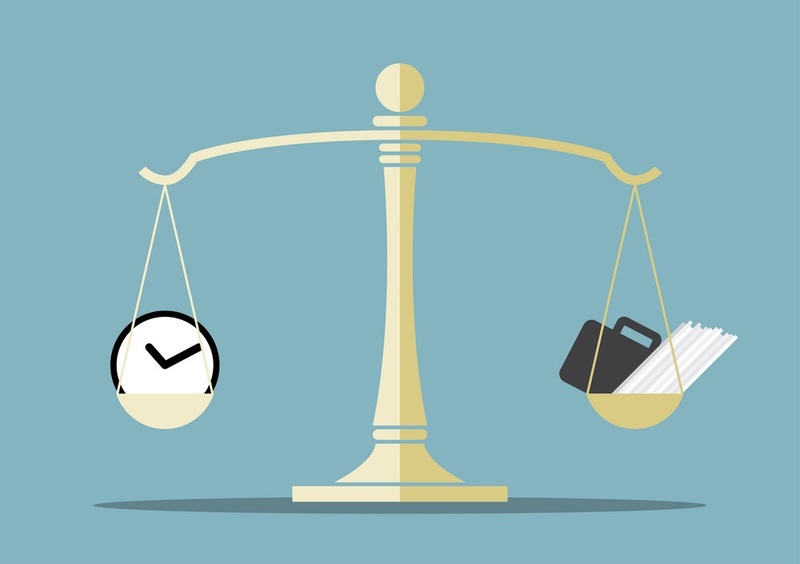 So not only will improve your work-life balance give you more control over what you do, but you’ll also be able to use your dedicated ‘you time’ to do things you’ve been putting off for years. Don’t sacrifice your free time just to put the extra hours in every single day – especially if it means giving up on your own personal development. There’s a time and a place for everything, and sometimes work isn’t it. Remember: achieving a good work-life balance often comes down to your own ability to prioritize according to what’s most important to you. Be sure to connect with Staffworks on Facebook, Twitter, and LinkedIn for all the latest job postings, career advice, and industry news.